• DOUGLAS SUTTON is a Buddhist monk, healer, and teacher of Ancient Esoteric Light Awakening Meditation. He grew up in Boston and graduated in Sociology and Art at the University of California San Diego. His on-going calling to open his heart, to spiritually awaken and to be of service guided him to again meet in this life time his Master, Master YU. 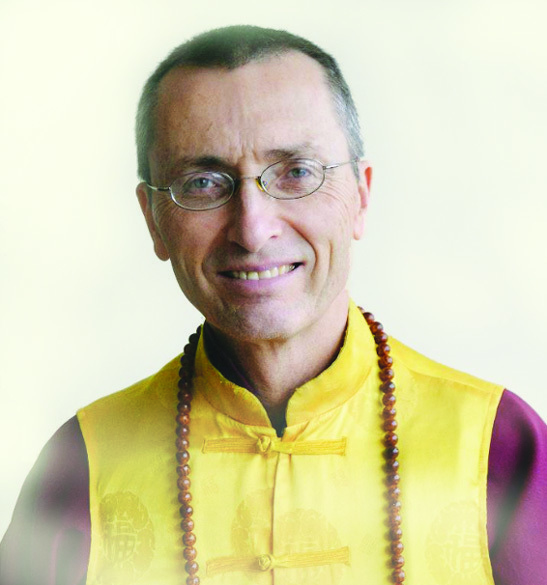 Since 2000 he has received spiritual awakening teachings of many kinds, spiritual healing teachings, special empowerments, and ongoing guidance from his Master, Living Buddha, (Mahavairocana Dharma King) Dechan Jueren – Master Yu Tianjian the 49th lineage holder of the Chinese Esoteric School and 47th lineage holder of the Lingji Chan Zen Lineage. Douglas lived and traveled with this great Master in the US and China. Since returning from 8 years in China in 2012 he has served as Vice Abbot of the Dari Rulai Temple in Long Beach California. He teaches Light Awakening Meditations, is a conduit of divine healing mantra light, and conducts workshops in the US and abroad, online and in person. The Esoteric School’s Light Awakening Meditations awaken the body’s natural ability to emit a kind of light energy referred to by ancient Buddhists as One’s Inner Light or Self Light. This Inner Light opens wisdom, heals the body, slows down the aging process and transforms and uplifts your life on all levels. 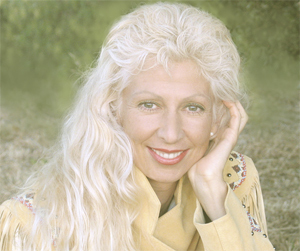 • Your Host, SARAH JEANE is a Spiritual Counselor Healer, Angelic Channel, Inspirational Speaker, Author, Visionary Artist and Graphic Artist, Illustrator and Art Director. She communes and works with Angelic Beings, Masters of Light, and Nature’s Intelligence. Embraced by the Light and guided by Luminous Angelic Beings into higher dimensional realms of consciousness, she received instant healing and messages of Peace and Love—forever expanding and reinforcing her life’s purpose. She expresses “Light, the Sanctity of Life” in her creative abilities to support of our global awakening in furtherance of Peace and Harmony. • “Love the Angels” show is all about Love—the Angels are all about the Love of the Heart. When we invite in the Angelic Beings of Light and choose frequencies of compassion and love, we shift in consciousness and we step into infinite possibilities within that light frequency, we raise our vibrations, our light expands—we manifest Heaven on Earth. Our love is received by all beings and Mother Earth. We are here to Love! In that Love we understand who we are, we awaken, we create in harmony and oneness. The purpose of “LOVE THE ANGELS” show is to increase our awareness and awaken, to open and expand our hearts and our inherent ability to love unconditionally, to convey compassion and serenity despite any other external circumstances. We call upon the beautiful presence of the Angels! Their messages are gently guiding us on that journey of the heart, in peace and for peace! You don’t have to feel isolated anymore—join us and receive guidance and healing on all levels of your being from the Angels! We will pray together, and open our hearts to be conduits, clear channels to the Angels in the Love of the Divine. We will delve in that Love! Contact Sarah Jeane at sj@artfromthelight.com, to schedule any classes (one on one or in group) or healing sessions. Her two Books and CD Meditation-Workshop awaken our abiltity to live from our God Self, our True Essence, our Angelic Self—to experience five dimensional consciousness. • My friend musician and composer Dov, created a beautiful angelic soundtrack for our show, “Love the Angels”. To know more about Dov: http://www.lovestarrecords.com & http://www.thedreamingplanet.com. You may contact Dov at dov@lovestarrecords.com. • You may contact Sarah Jeane at sj@artfromthelight.com with your questions and receive messages from the Angels.